We may be able to travel to Cuba soon, but until then, we can celebrate our new Amigos by enjoying a taste of their distinctive cuisine. Heat a large skillet on medium-high. Add fat to pan. Add ground beef or pork, breaking it up with a spatula. Allow meat to brown without stirring, about 5 minutes. Mix in bell pepper, onion, bay leaf, cinnamon, cumin, and chili powder and cook, stirring occasionally, for 5 minutes or until onion is softened. Add garlic and continue to cook 2 minutes more. In a small dish, place freeze-dried cranberries, water, and sweetener. Microwave until softened. Add sweetened cranberries plus any liquid and tomatoes to ground beef mixture and simmer on low 20 to 30 minutes. Add cooked chayote or rutabaga, parsley, black olives, salt, and pepper and cook until heated through. Top with almonds and serve with sour cream, chopped green onions, and chopped Jalapenos, if desired. Notes: *Choose tomatoes or tomato sauce in cans that state: “No Bisphenol A (BPA) in can lining.” (Cans that contain BPA are white on the inside.) Muir Glen’s® cans are not lined with the endocrine-disrupting plastic. The Kirkland® brand sold by Costco® comes in glass jars or you can substitute chopped, fresh tomatoes. ** To precook chayote, cut in half along the puckered seam and remove seed and core. Cut vertically into wedges and peel. Place wedges in a dish, cover with water, and microwave on high until soft, about 20 minutes, stirring once or twice. Alternately, cook in a saucepan with water to cover until soft. **To precook rutabaga, trim, peel, and dice. Place in a saucepan, cover with water, and simmer until soft, about 20 minutes, or microwave with a little water on high until soft. 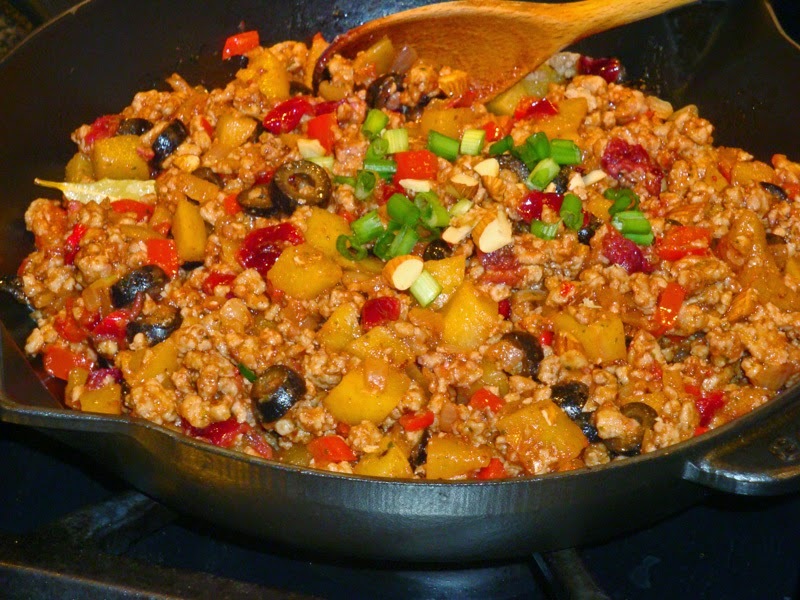 Fruit, Ground beef or pork stew, Nut. Bookmark. The pictures alone make me want to try this. I'm excited to make it for myself. Thanks, Drew! 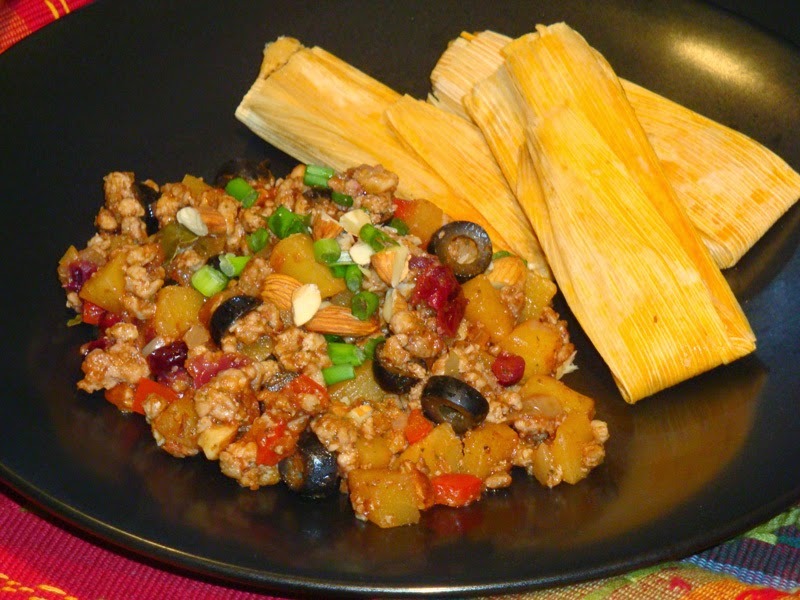 It is a very pretty dish–usually anything made with ground meat is hard to photograph so that it looks appetizing.